﻿How the future of Francophone African hospitality going to be different from what it is today? 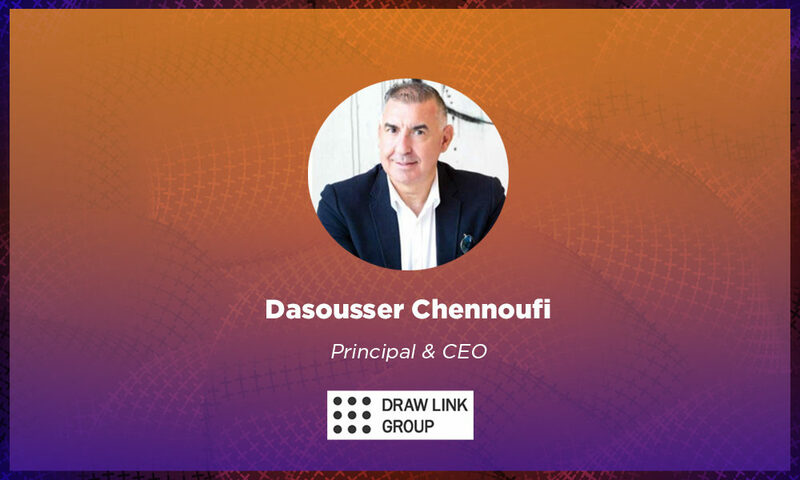 Daousser Chennoufi is a Tunisian Leading Architect, designer and Founder of Draw Link Group an International Interior Design and Fit-Out firm launched in 2006, its head office is in Dubai, and the company has also offices in Tunisia, Shanghai, and Greece. Daousser is also Partner at Hues Hotel Management since 2011 and 3D Concreative Manufacturing LLC launched recently in Dubai, a fully integrated solution for 3D printing concrete in Dubai. Previously founded Trans Dazz Interior Design and concept showroom in Dubai. Traveler, visited widely all over the world to explore and discover architecture, new trends, and new lifestyles. FIHA: What are the key trends transforming the current hotel investment landscape and how? FIHA: How the future of African hotel industry going to be different from what it is today? Dasousser: Africa became the new battleground for the international hotel brands such as Marriott, Hilton, IHG and the rest of the international hotel operator just as the middle east was for the last decade, with the competition level and the know-how of these big hotels brand, the future of the hotel industry in Africa will be completely different and the same will attract new and young hotel chain operating in Europe and the middle east, and will witness for the next coming years radical transformation and healthy mosaic of cultures. FIHA: How do you benefit from being a part of FIHA 2019? Dasousser: Being part of FIHA 2019, is being part of the leading hospitality event in the francophone African region and the same will be a good opportunity for us Drawlink to share our experience in the hospitality industry around the world with ambitious developers and international hotel brands, it’s the perfect place to meet hospitality investors leaders, existing clients, partners, academics and connect with professionals to discuss projects and introduce our services. Draw Link is an international Architecture, Interior Design & Fit-Out firm certified by ISO 9001, specialized in hospitality projects. Founded in Dubai since 2006 By Daousser Chennoufi a Tunisian Architect and designer, DLG have also branches in Tunisia, Greece and Shanghai developing personalized, iconic and distinguished projects all over the world from concept through to completion, delivering attention to detail throughout the entire process and concentrating on creating new lifestyle through its innovative vision of design and thanks to its professional, talented and creative international architects and interior designers working together in order to maintain highest quality standards from both the technical and aesthetic point of view.